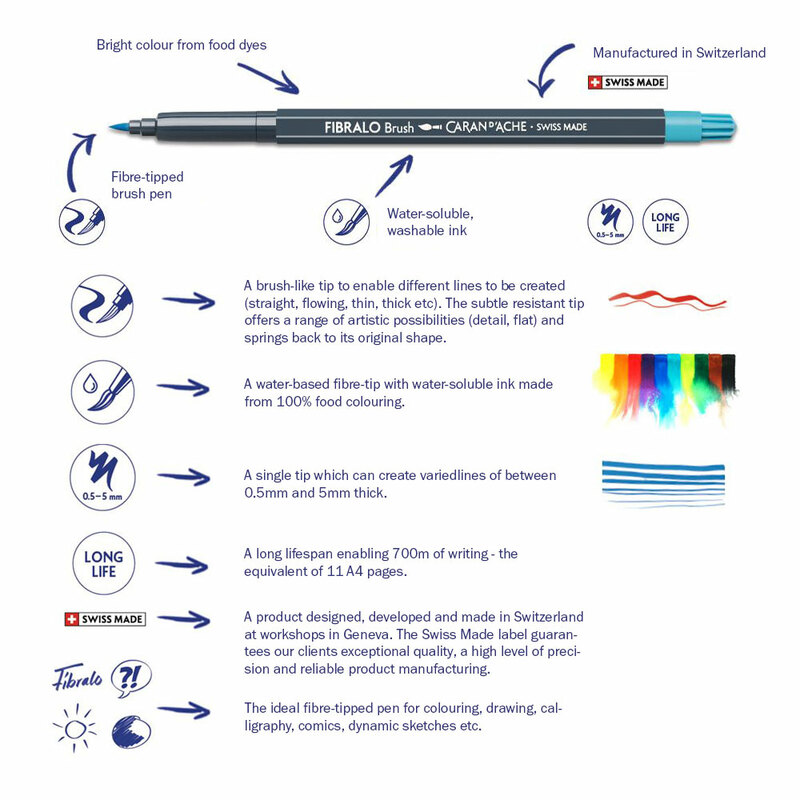 FIBRALO BRUSH: a new fibre-tipped pen for a range of artistic effects. 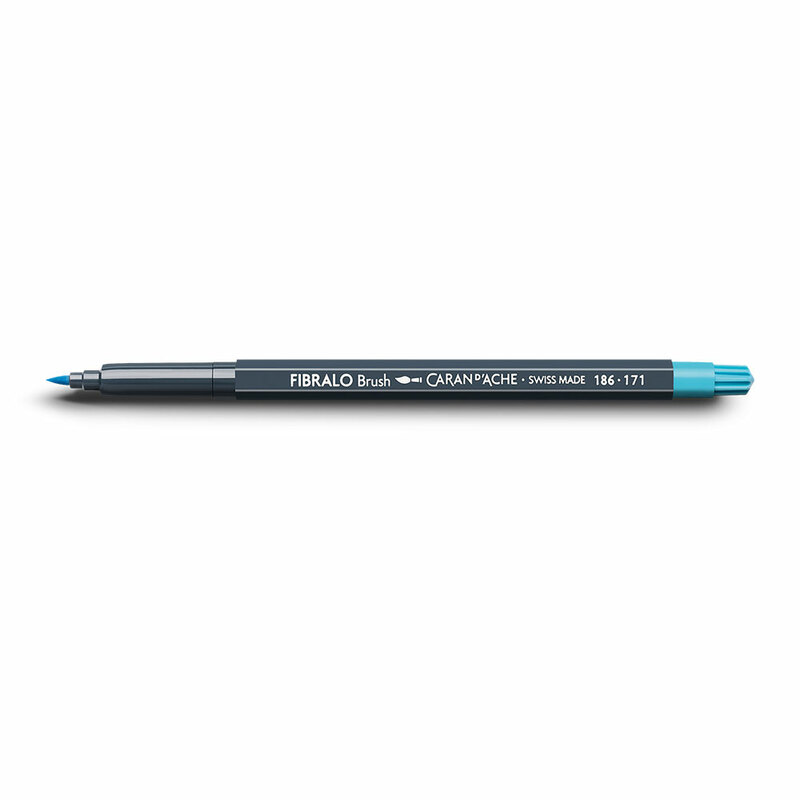 Fibralo Brush is the ideal artistic tool for anyone seeking the qualities of both a fibre-tip and paintbrush. As a premium Swiss Made quality product, it enables its fans to enhance their creativity. 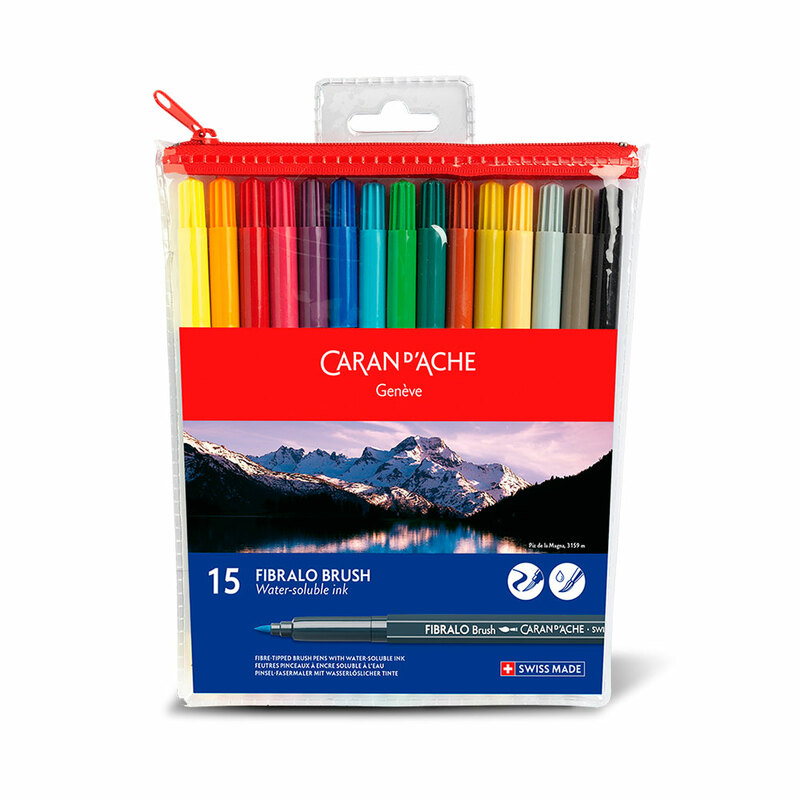 With a range of artistic and ultra-bright colours based on food colourings, the ink in this fibre-tip pen is water-soluble and therefore suitable for children aged 7 and over to use independently. 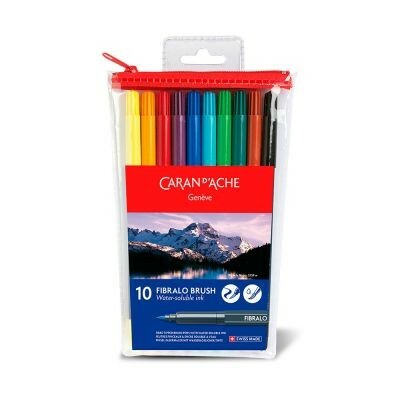 The fine artistic quality brush tip is certainly surprising. 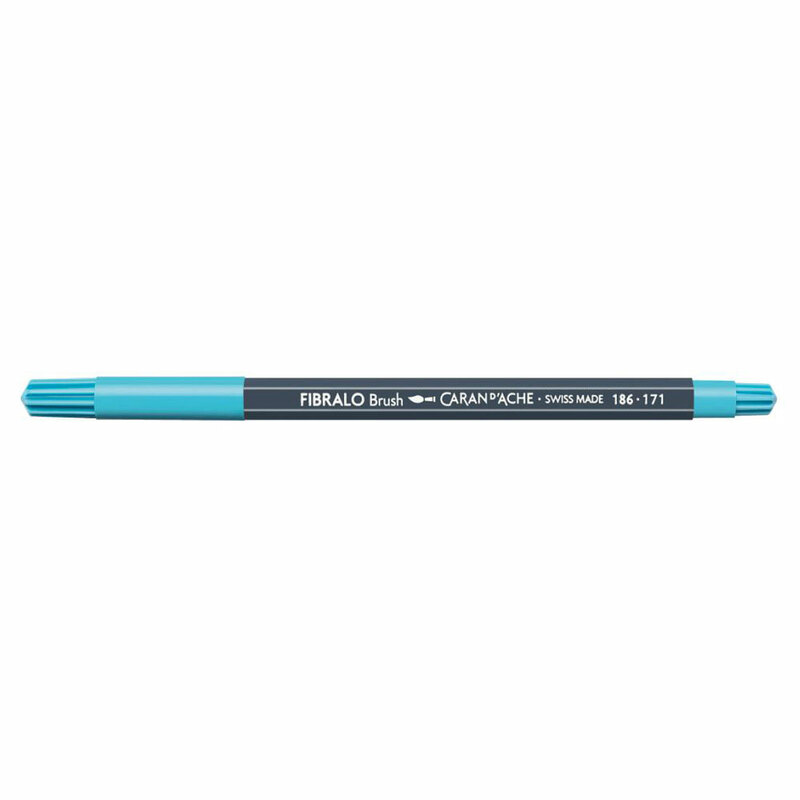 It is supple and bends and folds before springing back to its original shape to enable the user to create unlimited thick and fine lines in an instant. The Fibralo Brush is available in a plastic pocket containing 10 or 15 colours with a ‘zip system’ based on the concept of the school pencil case. These pockets can be taken anywhere thanks to their practical and light-weight design. Set of 15 NOW 34% OFF! 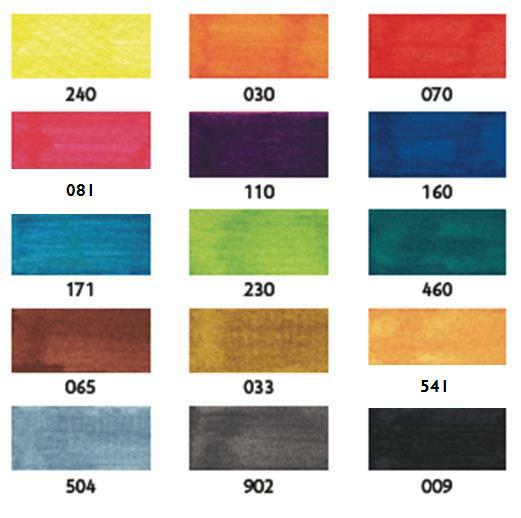 The colours are not designed to be exposed to light.